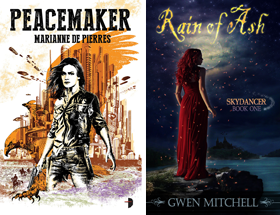 The current trend in vampires coming to the small screen continues to snowball as yet another series of popular YA vampire novels has been picked up for pilot by The CW. 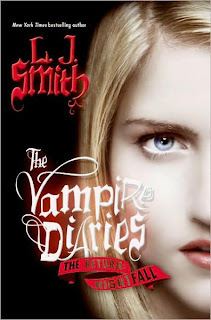 The Vampire Diaries" series of books was originally published in 1993 by author L.J. Smith. Warner Bros. TV, where Alloy (which owns the rights to "Vampire Diaries") is set up, is the studio; Alloy's Les Morgenstein and Bob Levy are also exec producers. 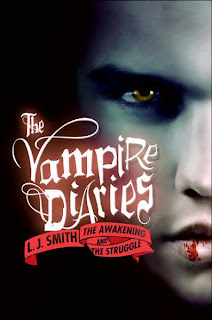 A four-book novel series, "Vampire Diaries" was originally penned by L.J. Smith. 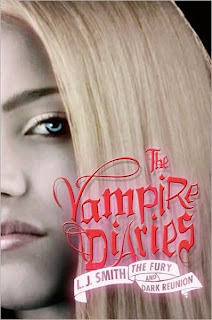 After the success of the "Twilight" series, Morgenstein suggested to HarperCollins, the publisher of the "Diaries" books, that they should re-release the books with new covers. Since then, "Diaries" has hit the New York Times Bestseller list, and HarperCollins has ordered three more books. The first new installment, "The Vampire Diaries: The Return: Nightfall," comes out Tuesday. The most haunting love triangle of all. Two vampire brothers, one good and one evil, are in love with the same beautiful girl. Stefan meets Elena, and falls for her instantly. But he swears never to approach her because of his dark secret. On the other hand, Elena has sworn to make Stefan hers or die. Damon is haunting Elena’s footsteps; coaxing and coercing her by turns. Stefan desperately tries to protect her from his brother. And Elena is having her blood drawn by two separate vampires. Meanwhile Caroline plots to expose Elena in front of the entire town. Can things get worse? They do, when Elena drives too fast over an unsafe bridge and drowns. It’s happened. Elena wakens as a vampire. She belongs to Damon, now, and to his world. The town mourns her as dead while she haunts the Old Wood by night. But by the time she remembers that Stefan is her true love, a new and powerful enemy appears. This is the last battle; and the only way Elena can win it is to sacrifice herself. As a psychic, Bonnie has dreams of Elena in the Other World. But the dreams quickly turn frightening. There is a terrible new enemy stalking Fell’s Church, killing young girls. Elena’s friends call for Stefan and get both him and Damon—but whose side is Damon on? The ending is the most surprising yet for Elena! Elena Gilbert is alive—again. When Elena sacrificed herself to save the two vampire brothers who love her—the handsome, brooding Stefan and the sleek and dangerous Damon—she was consigned to a fate beyond death. Until a powerful supernatural force pulled her back. Now Elena is not just human. She has powers and gifts that were bestowed on her in the afterlife. What's more, her blood pulses with an overwhelming and unique force that makes her irresistible to any vampire. Stefan wants to find a way to keep Elena safe so that they can make a life together. Damon, however, is driven by an insatiable desire for power, and wants Elena to rule as his princess. When Stefan is lured away from Fell's Church, Damon seizes his chance to convince her that he is the brother she is meant to be with. . . . But a darkness is infiltrating the town, and Damon, always the hunter, is now the hunted; he becomes the prey of a malevolent creature that can possess him at will, and who desires not just Elena's blood but her death. I have read the pilot script for this and I do believe this will be a big hit. A paranormal Dawson's Creek. I can't believe it...but yet again I don't think I have the channel it'll be coming on. I think it's great though that there's more vamp TV coming. Bring it on, even if I can't actually watch it. I like your description KB. It fits. Hey KMont there are always internet downloads, but of course things go to DVD pretty quickly these days. I'm freaking shocked. Too bad I grew out of L.J. Smith when i was in the 9th grade. She took about a decade hiatus writing and I just don't know that I can get back into it again. But lucky you teens, u got a non-MA rated True Blood. Vampires are hot right now and anything that resembles the teen scene of Twilight is bound to attract attention. I'm a huge fan of the VD series, and was over the moon at hearing the news about it coming to television. But if what I'm hearing about the changes they've made to the script is true, it's not the Vampire Diaries I know and love. Not at all. Anonymous if you have any links with new information I'd love to get them from you. when is The Vampire Diaries supposed to be on TV . [ the release date. . .month day && year ] im so lucky i have tha CW .